Launched In 1993 To Answer The Demand Of Some American Jazz Musicians (a Java With Even More Wood). 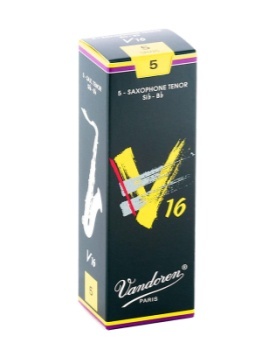 The V16 Has A Thicker Tip Than The Traditional Vandoren Reeds And A Longer Palette. Sound: More Brilliant, More Percussive, Particularly Well Adapted To All The New Styles Of Music. V16 Reeds Have A Medium-thick Heart (more Than Java But Less Than Traditionals), With A Profile Designed For Producing A Strong Attack With A Deep, Rich Sound.